Skool Lunch is an online internet website that helps to explore emerging technology and tools and paves a path to discover how many people and artists use every day things in an innovative manner. They launch various issues on a quarterly basis and update news section of the website with various coverage related to innovations across the world. The website thrives on highlighting various creations from different unique perspectives. The site was launched with a view to highlight everything that people perform in order to express themselves. They even tried to highlight people's growing tendency to adapt technology in various customized or independent manner. There are currently 0 consumer reviews about Skool Lunch available. Share your review. Please take a note that you are about to post a public review about Skool Lunch corporate office on CorporateOffice.com. This review will be public, so please do not post any of your personal information on this website. 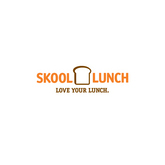 If you would like to contact the corporate offices of Skool Lunch, please use their contact information such as their phone number, website, and address listed above to contact them. However, sometimes staff from Skool Lunch headquarters do read the reviews on this website.